Today’s ride began at 5:30AM with the addition of a third rider (Tamar) who brought fresh legs, fresh conversation and a fast road bike. We would ride the Amish Country just east of Lancaster. Amish Country from a bicyclist perspective is comprised of rolling hills, farmland, churches, small towns and quiet people who embrace a simple life from simpler times. Horses pulling buggies can be seen along less traveled farm roads as well as more populated and busy routes. 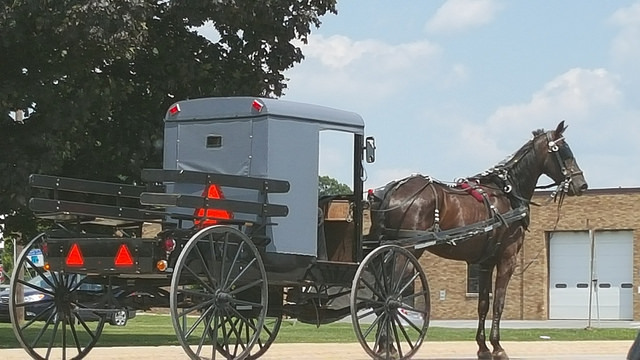 Drivers who are in a hurry, are forced to slow down for the horse drawn buggies, and wait. Jill, Jane and Tamar – styling at the end of Day #9! easy to become distracted by Amish farm life. There were no ‘mega farms’ – all farms appeared to be small and family operated. 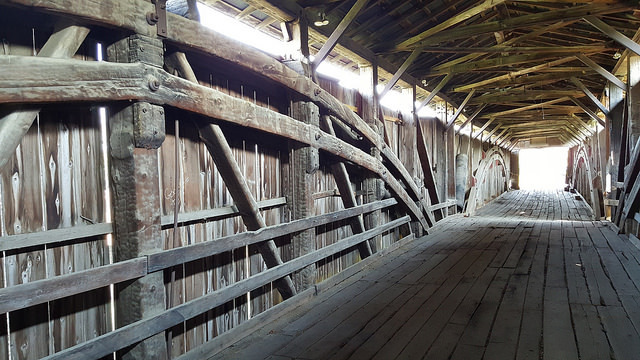 Cows, horses and chickens roamed freely – and the corn stalks stood over 8′ high. Navigating the roads took on a special twist. Avoiding the horse poo. 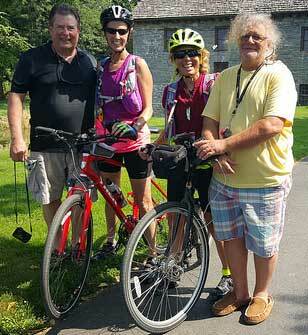 With a twinge of sadness that our Northeast bike tour has ended, we concluded our ride with grins from ear to ear, surrounded by friends and family who made this amazing tour possible (including those who have joined us virtually) and memories to carry us — at least until we tackle our next adventure bike tour. 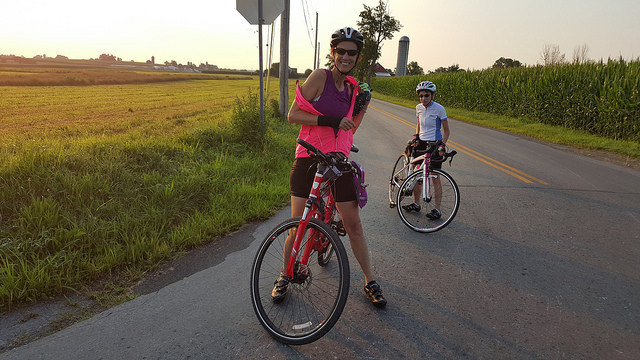 A special shout out to my bike partner Jill – who rode all miles with me (despite knee issues), tolerated my food choices and endless stops for pictures – and shares a craving for endorphins and laughter — making this tour amazing. Huge huge nod to Paddy who pushed to ride a portion of this tour daily – including starts and finishes, be available as our bike mechanic, and find the best coffee shops for the apres rides. And a nod to Chuck who teamed up as SAG support and managed to inspire us to find a little extra in our tanks. Congratulations and great job!!! I’ve loved following your journey :-)!! Welcome home!